If you click on "Admin", it will take you to a webpage displaying only the posts authored by the "Admin" for this website. 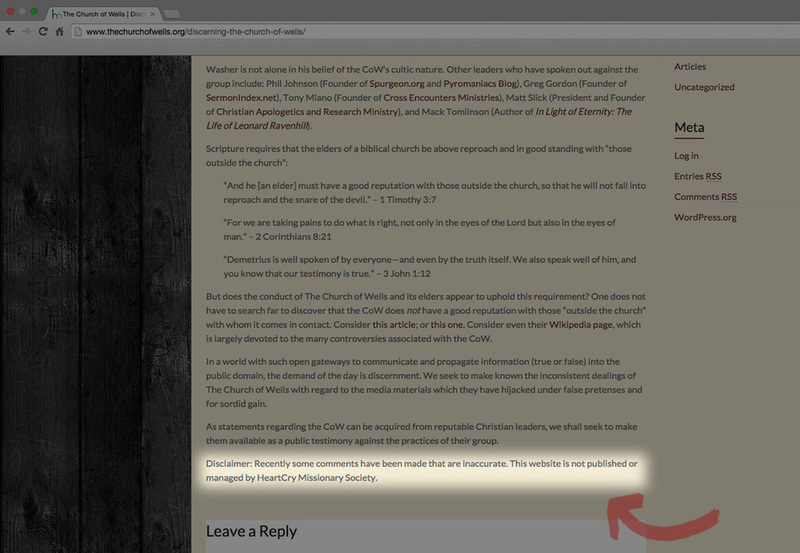 However, take note of the web address of this specific selection of the "Admin's" posts. Notice, that within the web address is the email for this "Admin", listed as the author of these posts: "[email protected]". Now, if you search for that email, "[email protected]", on Facebook, you will find the result to be Jon Green, listed as the Media Specialist for HeartCry Missionary Society. And to verify that this Jon Green is indeed the Jon Green from HeartCry, you can visit the staff page on HeartCry's website. 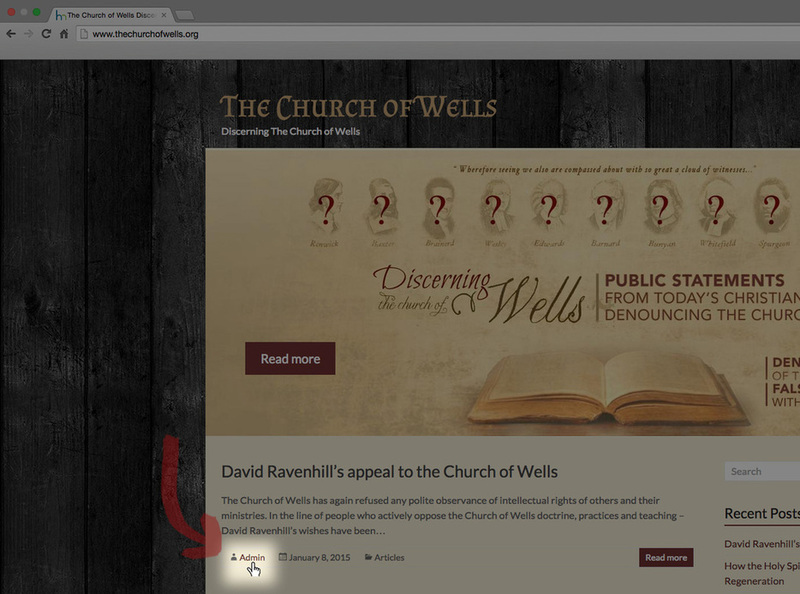 ***UPDATE: As of a long time back, thechurchofwells.org has been modified to remove the personal information of those behind the web site, specifically Jon Green (Religious Media Specialist of HeartCry Missionary Society). 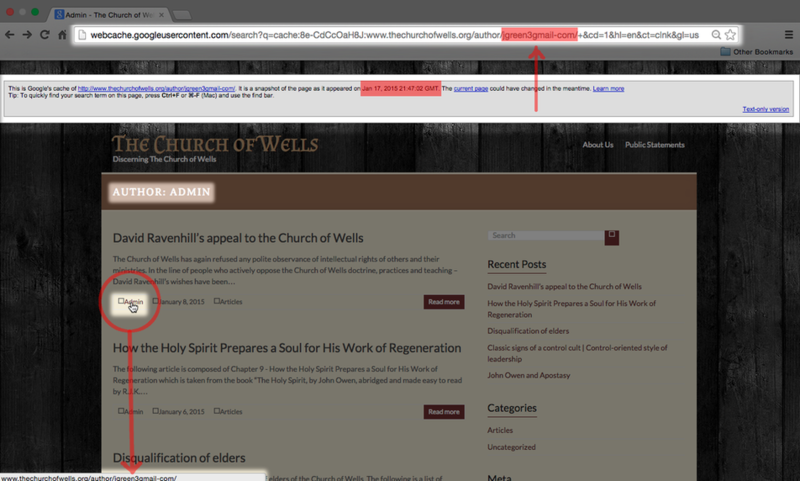 Our original screen shots below were taken on January 23, 2015, before the creators of thechurchofwells.org began to cover their tracks, removing personal affiliation. With deep sorrow, we anticipated this, and have included here a cached (saved) copy of the website from Google's web search from January 17th, 2015, which shows what the website looked like at that time. You can see in the image below, the author of the posts was "Admin," which when clicked, took you to the page displayed below, the author being 'jgreen3gmail-com' as seen in the URL. This has since been removed.